Omega 3 fatty acids are considered essential fatty acids. They are necessary for human health; however, the body can’t make them — we must get them through food. Every cell in the body is encompassed by a cell membrane composed mainly of fatty acids. The cell membrane permits the proper amounts of necessary nutrients to enter the cell, and ensures that waste products are quickly removed from the cell. To perform these functions efficiently, the cell membrane must maintain its integrity and fluidity. Cells without a healthy membrane lose their ability to hold water and vital nutrients as well as their ability to communicate with other cells. Researchers theorize that loss of cell to cell communication is one of the physiological events that leads to growth of cancerous tumors. 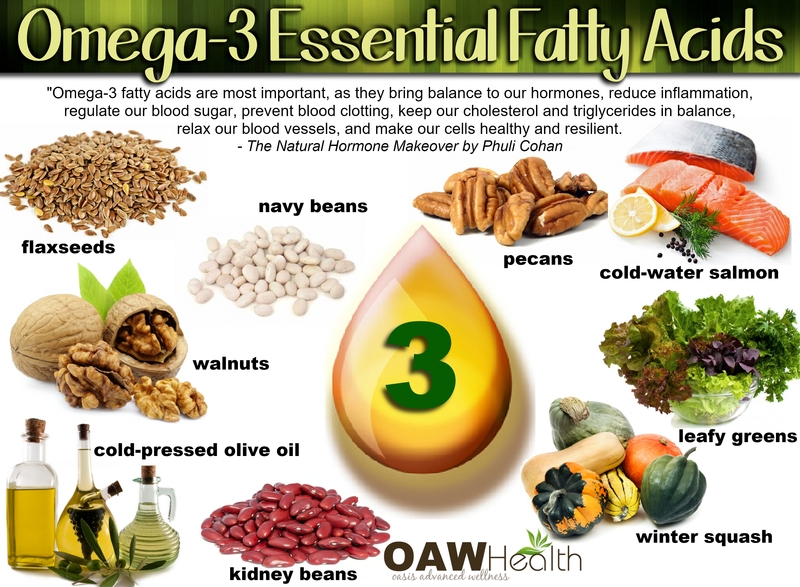 Omega 3 fatty acids are found in fish, such as salmon, tuna, and halibut, other seafood including algae and krill, flax seeds, walnuts, navy beans, kidney beans, cold-pressed olive oil, pecans, leafy green vegetables, and winter squash . Also known as polyunsaturated fatty acids (PUFAs), omega-3 fatty acids play a crucial role in brain function, as well as normal growth and development. However, because of the toxicity of our oceans as well as harmful radiation from the Fukushima Nuclear Incident, it is wise to be very careful as to what we consume from the sea. Human DNA contains so much material from the plant world. Most green material in the oceans, if you look at the cell wall structure, is composed mostly of Omega 3 oils. The chloroplast is mostly Omega 3 oils. Omega 3 oils seems to be the fundamental oil of the universe and are the substrate of many chemical reactions…the body prefers Omega 3 oils. Omega 3 fatty acids are most important, as they bring balance to our hormones, reduce inflammation, regulate our blood sugar, prevent blood clotting, keep our cholesterol and triglycerides in balance, relax our blood vessels, and make our cells healthy and resilient. There is not much fat in green, leafy vegetables and legumes (beans, peas, and lentils), and the fat that they have is strongly balanced toward anti-inflammatory omega 3 fatty acids, rather than other fats. Omega 3s encourage the production of helpful prostaglandins that inhibit inflammation, rather than those that fan the flames. If your diet is rich in these foods and eliminates meats, dairy products, and added oils, you will get the omega-3s you need. Indeed, women whose diets are balanced in favor of omega-3s rather than other fats tend to have milder menstrual symptoms. Nobody seemed to notice that a crime has been committed: It was the case of the missing nutrient. The nutrient was essential; it was a nutrient we human beings needed in order to stay healthy. It started to disappear from our diet about 75 years ago and now is almost gone. Only about 20% of the amount needed for human health and well-being remains. 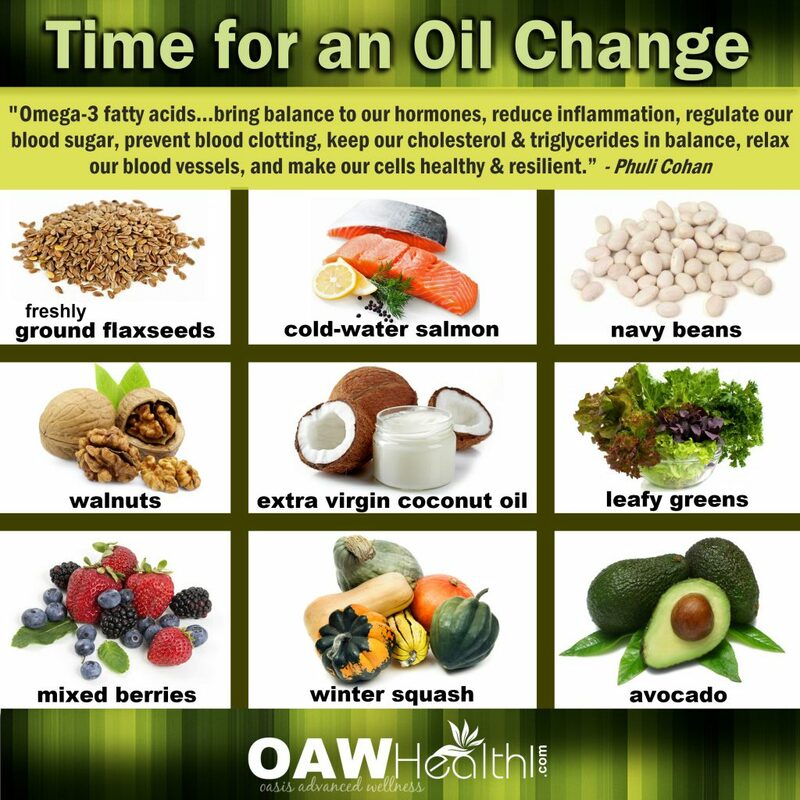 The nutrient is a fatty acid so important and so little understood that I call it “the nutritional missing link”….Food grade linseed oil & fish oil are the best sources of this special fat—Omega 3 essential fatty acid—which modern food destroys. One of the reasons our immune system gets weaker as we age is because we increase inflammation as we age. We often talk about hormones decreasing as we age, and many do. But certain hormones actually increase. One hormone is insulin. As we age, we get fatter, and as we get fatter, we make more inflammation that the body tries to attack thinking it’s an outside invader. Another group of hormones that increase as we age are these pro-inflammatory eicosanoids. Why? Because we take in larger amounts of omega 6 fatty acids and decreasing amounts of omega 3 fatty acids. As a consequence, our immune system basically goes on constant alert, thinking it’s fighting new invaders, when in reality it’s just attacking ourselves. We take this aspect of not being able to fight outside invaders effectively or attacking ourselves as part of the aging process, but we have no one to blame but ourselves. It’s a breakdown in hormonal communication. 1000–4000 mg/day omega 3 is required to maintain healthy blood lipid levels and a healthy cardiovascular system. 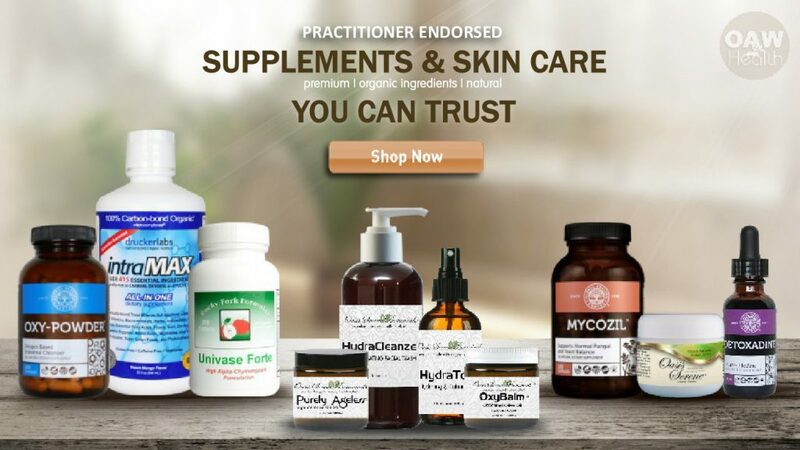 My personal and clinical experiences have led me to believe that it is best for most people to obtain their omega 3 fatty acids from a variety of the plant and clean animal foods. This is what people of all cultures have done throughout the history of our world. As it is with all of the nutrients that we know of, omega 3 fatty acids work synergistically with many co-factors to provide their health promoting effects. Flow charts in biochemistry textbooks are important to understand and apply to our dietary choices, but in my opinion, they represent only a partial picture of the countless physiological reactions that keep our cells alive. 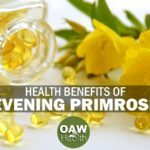 With this in mind, I feel that it is wise to eat a variety of foods that are naturally rich in ALA, EPA, and DHA rather than to rely on a supplement that contains just one or more of these omega-3 fatty acids as isolated nutrients. This study (Brasky et al. Plasma Phospholipid Fatty Acids and Prostate Cancer Risk in the SELECT Trial. JNCI July 10, 2013 – claims that higher levels of omega 3 fatty acids in the blood increase the risk of prostate cancer) uses an invalid study design, uses an invalid methodology, and makes invalid conclusions. They make statements about high levels of omega 3 fatty acids causing an increased risk of prostate cancer in subjects with low levels of omega-3. The differences in omega 3 levels between the selected controls without cancer and the subjects who developed cancer was negligible and both physiologically and clinically insignificant. This study does not offer a shred of evidence to support their conclusion that high omega 3 levels increase the risk of prostate cancer and their conclusions are at odds with a body of evidence supporting the benefits of omega 3 fatty acid consumption. The reasons for the prevalence of omega 3 fatty acid deficiency in modern life: 1. A change in flour-milling technology causing rancidity of fats and elimination of essential fatty acids. 2. The elimination of omega-3 foods, such as flax-seed oil, from our diets because of limited shelf-life. 3. The change to feedlot-raised cattle and caged chickens and their eggs, all of which are much lower in omega 3 and 6 fatty acids, as pointed out by Donald O Rudin, MD in his book The Omega 3 Phenomenon in 1987 (24. Rudin DO, 1987). 4. The increased use of pharmaceuticals, particularly aspirin, that block EFA enzyme systems and their conversion to vital prostaglandins. 5. The increased us of sugar, caffeine, refined carbohydrates, and alcohol, which deplete EFA’s and prostaglandins. 6. The increasing ingestion of toxins in food. 7. The lack of breast-feeding, which is rich in omega 3 oils, unlike cow’s milk, in which it is totally absent. and 8. The excessive consumption of trans fatty acids and hydrogenated fats, rancid fats and free-radicals, due to marketers’ desire for their products to last for months, if not years, on supermarket shelves. The average Western person today consumes 1000% more trans fatty acids and hydrogenated fats than ever before, according to Charles Bates, PhD in his 1987 book (25. Bates C, 1987). In a 1994 study of 121 women with breast cancer, those in more advanced stages whose breast cancer had spread to their lymph nodes showed the lowest levels of omega 3 fatty acids in the breast tissue. After 31 months, the 20 women who had developed metastases had significantly lower levels of these EFAs (Essential fatty acids) than those who didn’t. Another study out of Boston University using the same type of tissue profiles that were used in the breast cancer study demonstrated that patients with coronary artery disease likewise had, low levels of EFAs. 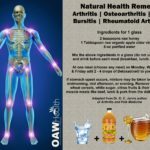 Our immune system, which is vital for destroying cancer cells, requires EFAs, vitamins C, B6, and A, and zinc to function, and requires an exceptionally rich nutrient supply of ALL essential nutrients for its high level of complex cellular activities. Deficiencies of EFAs and toxic, man-made synthetic drugs that interfere with essential fatty acid functions can create the conditions of fatty degeneration collectively known as cancer. There is a mountain of evidence of over 12,000 studies supporting a role for omega 3’s in reducing the risk of cardiovascular disease and boosting overall heart health, improving eye and brain development in our formative years, maintaining cognitive performance as we age, and improving mood and behaviour, even amongst the less well-behaved. So what’s the issue? Omega 3 is one of the nutrition industry’s major successes, with the ingredients market valued at a whopping $1.6 billion by Frost & Sullivan. Omega 3 perfectly illustrates how an ingredient can be mutually and successfully developed by all of the players working together. It may come as no surprise that there are some that wish to “take it down a peg or two”, as we say in the UK. Stephen Daniells is the science editor for NutraIngredients, NutraIngredients-USA, FoodNavigator, and FoodNavigator-USA. He has a PhD in chemistry from the Queen’s University of Belfast and has worked in research in The Netherlands and France. Found in flaxseed oil and fish oils, omega 3 fatty acids can’t be made in the body but must come from our food. The omega 3 fatty acids are necessary in the manufacture of our hormones, important for our heart, and necessary for the development of our brain. They also play a role in preventing cancer. 1. Conklin SM, Gianaros PJ, Brown SM, et al. Long-chain omega-3 fatty acid intake is associated positively with corticolimbic gray matter volume in healthy adults. Neurosci Lett. 2007 Jun 29;421(3):209-12. 2. Hibbeln JR, Davis JM, Steer C, et al. Maternal seafood consumption in pregnancy and neurodevelopmental outcomes in childhood (ALSPAC study): an observational cohort study. Lancet. 2007 Feb 17;369(9561):578-85. 3. O’Brien JS, Sampson EL. Lipid composition of the normal human brain: gray matter, white matter, and myelin. J Lipid Res. 1965 Oct;6(4):537-44. 4. Chang CY, Ke DS, Chen JY. Essential fatty acids and human brain. Acta Neurol Taiwan. 2009 Dec;18(4):231-41. 5. Robinson JG, Ijioma N, Harris W. Omega-3 fatty acids and cognitive function in women. Womens Health (Lond Engl). 2010 Jan;6(1):119-34. 6. Eckert GP, Franke C, Noldner M, et al. Plant derived omega-3-fatty acids protect mitochondrial function in the brain. Pharmacol Res. 2010 Mar;61(3):234-41. 7. De Vriese SR, Christophe AB, Maes M. In humans, the seasonal variation in poly-unsaturated fatty acids is related to the seasonal variation in violent suicide and serotonergic markers of violent suicide. Prostaglandins Leukot Essent Fatty Acids. 2004 Jul;71(1):13-8. 8. McNamara RK, Carlson SE. Role of omega-3 fatty acids in brain development and function: potential implications for the pathogenesis and prevention of psychopathology. Prostaglandins Leukot Essent Fatty Acids. 2006 Oct-Nov;75(4-5):329-49. 9. Su HM. Mechanisms of n-3 fatty acid-mediated development and maintenance of learning memory performance. J Nutr Biochem. 2010 May;21(5):364-73. 10. Dyall SC, Michael GJ, Whelpton R, Scott AG, Michael-Titus AT. Dietary enrichment with omega-3 polyunsaturated fatty acids reverses age-related decreases in the GluR2 and NR2B glutamate receptor subunits in rat forebrain. Neurobiol Aging. 2007 Mar;28(3):424-39. 11. Innis SM. Dietary omega 3 fatty acids and the developing brain. Brain Res. 2008 Oct 27;1237:35-43. 12. Liperoti R, Landi F, Fusco O, Bernabei R, Onder G. Omega-3 polyunsaturated fatty acids and depression: a review of the evidence. Curr Pharm Des. 2009;15(36):4165-72. 13. Mincke E, Cosyns P, Christophe AB, De Vriese S, Maes M. Lower omega-3 polyunsaturated fatty acids and lower docosahexaenoic acid in men with pedophilia. Neuro Endocrinol Lett. 2006 Dec;27(6):719-23. 14. Fedorova I, Salem N, Jr. Omega-3 fatty acids and rodent behavior. Prostaglandins Leukot Essent Fatty Acids. 2006 Oct-Nov;75(4-5):271-89. 15. Morley JE. Nutrition and the brain. Clin Geriatr Med. 2010 Feb;26(1):89-98. 16. Buydens-Branchey L, Branchey M, Hibbeln JR. Associations between increases in plasma n-3 polyunsaturated fatty acids following supplementation and decreases in anger and anxiety in substance abusers. Prog Neuropsychopharmacol Biol Psychiatry. 2008 Feb 15;32(2):568-75. 17. Amminger GP, Schäfer MR, Papageorgiou K, et al. Long-chain omega-3 fatty acids for indicated prevention of psychotic disorders: a randomized, placebo-controlled trial. Arch Gen Psychiatry. 2010 Feb;67(2):146-54. 18. Aben A, Danckaerts M. Omega-3 and omega-6 fatty acids in the treatment of children and adolescents with ADHD. Tijdschr Psychiatr. 2010;52(2):89-97. 19. Dyall SC, Michael GJ, Michael-Titus AT. Omega-3 fatty acids reverse age-related decreases in nuclear receptors and increase neurogenesis in old rats. J Neurosci Res. 2010 Mar 24. 20. Hibbeln JR, Ferguson TA, Blasbalg TL. Omega-3 fatty acid deficiencies in neurodevelopment, aggression and autonomic dysregulation: opportunities for intervention. Int Rev Psychiatry. 2006 Apr;18(2):107-18. 21. Kidd PM. Omega-3 DHA and EPA for cognition, behavior, and mood: clinical findings and structural-functional synergies with cell membrane phospholipids. Altern Med Rev. 2007 Sep;12(3):207-27. 22. Amminger GP, Berger GE, Schafer MR, Klier C, Friedrich MH, Feucht M. Omega-3 fatty acids supplementation in children with autism: a double-blind randomized, placebo-controlled pilot study. Biol Psychiatry. 2007 Feb 15;61(4):551-3. 23. Bradbury J, Myers SP, Oliver C. An adaptogenic role for omega-3 fatty acids in stress; a randomised placebo controlled double blind intervention study (pilot). Nutr J. 2004 Nov 28;3:20. 24. Gesch CB, Hammond SM, Hampson SE, Eves A, Crowder MJ. Influence of supplementary vitamins, minerals and essential fatty acids on the antisocial behaviour of young adult prisoners. Randomised, placebo-controlled trial. Br J Psychiatry. 2002 Jul;181:22-8. 25. Zaalberg A, Nijman H, Bulten E, Stroosma L, van der Staak C. Effects of nutritional supplements on aggression, rule-breaking, and psychopathology among young adult prisoners. Aggress Behav. 2010 Mar;36(2):117-26. 26. Peet M, Murphy B, Shay J, Horrobin D. Depletion of omega-3 fatty acid levels in red blood cell membranes of depressive patients. Biol Psychiatry. 1998 Mar 1;43(5):315-9. 27. Maes M, Christophe A, Delanghe J, Altamura C, Neels H, Meltzer HY. Lowered omega3 polyunsaturated fatty acids in serum phospholipids and cholesteryl esters of depressed patients. Psychiatry Res. 1999 Mar 22;85(3):275-91. 28. McNamara RK, Hahn CG, Jandacek R, et al. Selective deficits in the omega-3 fatty acid docosahexaenoic acid in the postmortem orbitofrontal cortex of patients with major depressive disorder. Biol Psychiatry. 2007 Jul 1;62(1):17-24. 29. Brunner J, Parhofer KG, Schwandt P, Bronisch T. Cholesterol, essential fatty acids, and suicide. Pharmacopsychiatry. 2002 Jan;35(1):1-5. 30. Huan M, Hamazaki K, Sun Y, et al. Suicide attempt and n-3 fatty acid levels in red blood cells: a case control study in China. Biol Psychiatry. 2004 Oct 1;56(7):490-6. 31. Sublette ME, Hibbeln JR, Galfalvy H, Oquendo MA, Mann JJ. Omega-3 polyunsaturated essential fatty acid status as a predictor of future suicide risk. Am J Psychiatry. 2006 Jun;163(6):1100-2. 32. Jazayeri S, Tehrani-Doost M, Keshavarz SA, et al. Comparison of therapeutic effects of omega-3 fatty acid eicosapentaenoic acid and fluoxetine, separately and in combination, in major depressive disorder. Aust N Z J Psychiatry. 2008 Mar;42(3):192-8. 33. Su KP, Huang SY, Chiu CC, Shen WW. Omega-3 fatty acids in major depressive disorder. A preliminary double-blind, placebo-controlled trial. Eur Neuropsychopharmacol. 2003 Aug;13(4):267-71. 34. da Silva TM, Munhoz RP, Alvarez C, et al. Depression in Parkinson’s disease: a double-blind, randomized, placebo-controlled pilot study of omega-3 fatty-acid supplementation. J Affect Disord. 2008 Dec;111(2-3):351-9. 35. Su KP, Huang SY, Chiu TH, et al. Omega-3 fatty acids for major depressive disorder during pregnancy: results from a randomized, double-blind, placebo-controlled trial. J Clin Psychiatry. 2008 Apr;69(4):644-51. 36. Lucas M, Asselin G, Merette C, Poulin MJ, Dodin S. Ethyl-eicosapentaenoic acid for the treatment of psychological distress and depressive symptoms in middle-aged women: a double-blind, placebo-controlled, randomized clinical trial. Am J Clin Nutr. 2009 Feb;89(2):641-51. 37. Nemets H, Nemets B, Apter A, Bracha Z, Belmaker RH. Omega-3 treatment of childhood depression: a controlled, double-blind pilot study. Am J Psychiatry. 2006 Jun;163(6):1098-100. 38. Noaghiul S, Hibbeln JR. Cross-national comparisons of seafood consumption and rates of bipolar disorders. Am J Psychiatry. 2003 Dec;160(12):2222-7. 39. Clayton EH, Hanstock TL, Hirneth SJ, Kable CJ, Garg ML, Hazell PL. Long-chain omega-3 polyunsaturated fatty acids in the blood of children and adolescents with juvenile bipolar disorder. Lipids. 2008 Nov;43(11):1031-8. 40. McNamara RK, Jandacek R, Rider T, et al. Deficits in docosahexaenoic acid and associated elevations in the metabolism of arachidonic acid and saturated fatty acids in the postmortem orbitofrontal cortex of patients with bipolar disorder. Psychiatry Res. 2008 Sep 30;160(3):285-99. 41. Stoll AL, Severus WE, Freeman MP, et al. Omega 3 fatty acids in bipolar disorder: a preliminary double-blind, placebo-controlled trial. Arch Gen Psychiatry. 1999 May;56(5):407-12. 42. Hirashima F, Parow AM, Stoll AL, et al. Omega-3 fatty acid treatment and T(2) whole brain relaxation times in bipolar disorder. Am J Psychiatry. 2004 Oct;161(10):1922-4. 43. Chiu CC, Huang SY, Chen CC, Su KP. Omega-3 fatty acids are more beneficial in the depressive phase than in the manic phase in patients with bipolar I disorder. J Clin Psychiatry. 2005 Dec;66(12):1613-4. 44. Osher Y, Bersudsky Y, Belmaker RH. Omega-3 eicosapentaenoic acid in bipolar depression: report of a small open-label study. J Clin Psychiatry. 2005 Jun;66(6):726-9. 45. Montgomery P, Richardson AJ. Omega-3 fatty acids for bipolar disorder. Cochrane Database Syst Rev. 2008 (2):CD005169. 46. Kraguljac NV, Montori VM, Pavuluri M, Chai HS, Wilson BS, Unal SS. Efficacy of omega-3 fatty acids in mood disorders – a systematic review and metaanalysis. Psychopharmacol Bull. 2009;42(3):39-54. 47. Clayton EH, Hanstock TL, Hirneth SJ, Kable CJ, Garg ML, Hazell PL. Reduced mania and depression in juvenile bipolar disorder associated with long-chain omega-3 polyunsaturated fatty acid supplementation. Eur J Clin Nutr. 2009 Aug;63(8):1037-40. 48. Turnbull T, Cullen-Drill M, Smaldone A. Efficacy of omega-3 fatty acid supplementation on improvement of bipolar symptoms: a systematic review. 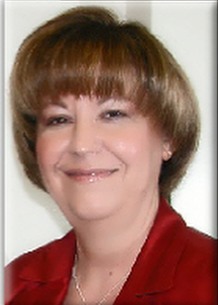 Arch Psychiatr Nurs. 2008 Oct;22(5):305-11. 49. McNamara RK. Evaluation of docosahexaenoic acid deficiency as a preventable risk factor for recurrent affective disorders: current status, future directions, and dietary recommendations. Prostaglandins Leukot Essent Fatty Acids. 2009 Aug-Sep;81(2-3):223-31. 50. Carrie I, Abellan Van Kan G, Rolland Y, Gillette-Guyonnet S, Vellas B. PUFA for prevention and treatment of dementia? Curr Pharm Des. 2009;15(36):4173-85. 51. Cole GM, Ma QL, Frautschy SA. Omega-3 fatty acids and dementia. Prostaglandins Leukot Essent Fatty Acids. 2009 Aug-Sep;81(2-3):213-21. 52. Fotuhi M, Mohassel P, Yaffe K. Fish consumption, long-chain omega-3 fatty acids and risk of cognitive decline or Alzheimer disease: a complex association. Nat Clin Pract Neurol. 2009 Mar;5(3):140-52. 53. Heinrichs SC. Dietary omega-3 fatty acid supplementation for optimizing neuronal structure and function. Mol Nutr Food Res. 2010 Apr;54(4):447-56. 54. Laasonen M, Hokkanen L, Leppamaki S, Tani P, Erkkila AT. Project DyAdd: Fatty acids and cognition in adults with dyslexia, ADHD, or both. Prostaglandins Leukot Essent Fatty Acids. 2009 Jul;81(1):79-88. 55. Sumich A, Matsudaira T, Gow RV, et al. Resting state electroencephalographic correlates with red cell long-chain fatty acids, memory performance and age in adolescent boys with attention deficit hyperactivity disorder. Neuropharmacology. 2009 Dec;57(7-8):708-14. 56. Vercambre MN, Boutron-Ruault MC, Ritchie K, Clavel-Chapelon F, Berr C. Long-term association of food and nutrient intakes with cognitive and functional decline: a 13-year follow-up study of elderly French women. Br J Nutr. 2009 Aug;102(3):419-27. 57. Wurtman RJ, Cansev M, Sakamoto T, Ulus IH. Use of phosphatide precursors to promote synaptogenesis. Annu Rev Nutr. 2009;29:59-87. 58. Wurtman RJ, Cansev M, Ulus IH. Synapse formation is enhanced by oral administration of uridine and DHA, the circulating precursors of brain phosphatides. J Nutr Health Aging. 2009 Mar;13(3):189-97. 59. Barcelos RC, Benvegnu DM, Boufleur N, et al. Effects of omega-3 essential fatty acids (omega-3 EFAs) on motor disorders and memory dysfunction typical neuroleptic-induced: behavioral and biochemical parameter. Neurotox Res. 2010 Apr;17(3):228-37. 60. Antypa N, Van der Does AJ, Smelt AH, Rogers RD. Omega-3 fatty acids (fish-oil) and depression-related cognition in healthy volunteers. J Psychopharmacol. 2009 Sep;23(7):831-40. 61. Fiala M. Re-balancing of inflammation and abeta immunity as a therapeutic for Alzheimer’s disease-view from the bedside. CNS Neurol Disord Drug Targets. 2010 Apr;9(2):192-6. 62. Fiala M. Re-balancing of inflammation and abeta Immunity as a therapeutic for Alzheimer’s disease-view from the bedside. CNS Neurol Disord Drug Targets. 2010 Mar 5. 63. Vedin I, Cederholm T, Freund Levi Y, et al. Effects of docosahexaenoic acid-rich n-3 fatty acid supplementation on cytokine release from blood mononuclear leukocytes: the OmegAD study. Am J Clin Nutr. 2008 Jun;87(6):1616-22. 64. Vedin I, Cederholm T, Freund-Levi Y, et al. Reduced prostaglandin F2 alpha release from blood mononuclear leukocytes after oral supplementation of omega-3 fatty acids: the OmegAD study. J Lipid Res. 2010 May;51(5):1179-85. 65. Irving GF, Freund-Levi Y, Eriksdotter-Jonhagen M, et al. Omega-3 fatty acid supplementation effects on weight and appetite in patients with Alzheimer’s disease: the omega-3 Alzheimer’s disease study. J Am Geriatr Soc. 2009 Jan;57(1):11-7. 66. Yurko-Mauro K. Cognitive and cardiovascular benefits of docosahexaenoic acid in aging and cognitive decline. Curr Alzheimer Res. 2010 May 1;7(3):190-6. 67. Florent-Bechard S, Desbene C, Garcia P, et al. The essential role of lipids in Alzheimer’s disease. Biochimie. 2009 Jun;91(6):804-9. 69. Chiu CC, Su KP, Cheng TC, et al. The effects of omega-3 fatty acids monotherapy in Alzheimer’s disease and mild cognitive impairment: a preliminary randomized double-blind placebo-controlled study. Prog Neuropsychopharmacol Biol Psychiatry. 2008 Aug 1;32(6):1538-44. 70. Ma QL, Yang F, Rosario ER, et al. Beta-amyloid oligomers induce phosphorylation of tau and inactivation of insulin receptor substrate via c-Jun N-terminal kinase signaling: suppression by omega-3 fatty acids and curcumin. J Neurosci. 2009 Jul 15;29(28):9078-89.